Is It Time For a New Network Strategy? A supply chain with the right balance of cost and service level is key for retailers looking to gain a competitive advantage in today’s omni-channel retail world. If retailers have not looked at their network strategy lately, they are likely either sacrificing service to customers or spending too much money. From a customer service side, what used to be acceptable – for example, five or six-day shipping—is no longer acceptable to customers who are now accustomed to fast and flexible shipping and multiple channels of shopping options. The increasing complexity of a multi-channel supply chain can rapidly create pockets of inefficiency, often resulting in hundreds of thousands of wasted dollars every year, depending on the size of the retailer and scope of their issues. A successful supply chain network design will give retailers a competitive advantage, pinpoint ways to reduce costs, improve service levels, reduce overall cycle times, streamline all processes and systems used, and more. With ample benefits, a new network strategy is something all retailers should consider, but when is it truly necessary to reevaluate an existing plan? There are six questions retailers should ask to find out. Did you recently implement a ship from store strategy? Many retailers are now utilizing stores as fulfillment centers to enable ship from store strategies. This gives retailers a competitive edge and allows customers to save time (since they no longer have to wait for shipment from a distribution center (DC) that is farther away) and money (since they might be charged less for shipping). However, shipping from stores does require an adjustment to the supply chain. Retailers need to know how much product needs to be housed in each facility and be able to have the technology in place to determine which shipping location is closest as soon as orders are placed. As a result, a new network strategy will substantially improve the supply chain performance of any retailer deploying a ship from store strategy. Has your company merged with another retailer or acquired another brand? Mergers and acquisitions are a signal of growth, which is a positive thing, but it might mean it’s time to reevaluate your network strategy. Often immediately following a merger or acquisition, the retailer that was acquired and its new parent company continue to operate independently. But in order to optimize the supply chain – and leverage all the facilities the new, larger retailer has – a new network strategy should be put in place in order to ensure optimal service levels are met and the time it takes to get orders to customers is reduced. Have you experienced a recent geographic expansion? Beyond acquisitions and mergers, retailers might expand to new parts of the country or the world. While it is common for a new region to have more limited assortments and service levels in the very beginning of any expansion, it is important to reach competitive levels to maintain your expansion plans. When it comes to adding locations throughout the U.S. and beyond, there is a tipping point where your old strategy will no longer suffice. 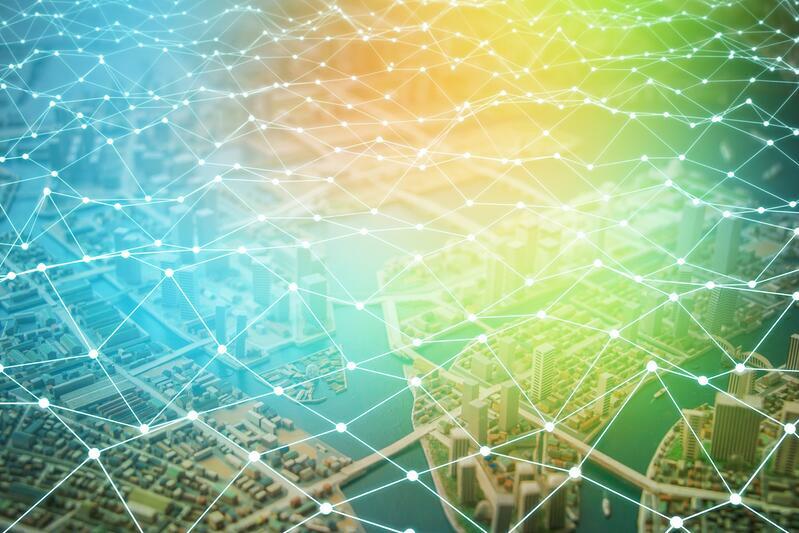 An updated network model will tell you when that tipping point occurs and provide direction to optimize your new expanded geography. Are you utilizing a “store in a store” strategy? A “store in a store” strategy is when a large retailer will have a small version (or pop-up shop) of another retailer inside of its brick-and-mortar store. Store-in-a-store strategies are becoming more prevalent, especially with larger apparel retailers housed in malls. When a store in a store strategy is implemented, many questions need to be answered in order to determine if it’s time to reevaluate network strategy. Will the two retailers combine distribution efforts? Will direct store deliveries be deployed? How will packaging be affected? Chances are if a store in a store strategy is put in place, a new network strategy is in order. Have you recently reassessed your inventory flow path? Retailers are always striving to reduce unnecessary inventory levels throughout the supply chain. Typically, retailers either have a flow through process or a traditional pick, pack or ship process for facilities. If for some reason your assortment or outbound order profiles change, it will make sense to reassess your network strategy to ensure there is no wasted time or resources throughout the process. Even small changes in order profiles (including returns) can significantly affect your network. Has it been five years or more since your last network strategy was implemented? Whether a retailer has experienced any of the business changes mentioned above or not, a reevaluation of network strategy should take place at least every five years. There are changes that have likely occurred during that time that will require a new strategy. For example, demographics of consumers or an evolution of product line may have occurred in that time frame that will require retailers to give network strategy a second look. Even if the core business has not changed, customers’ buying patterns most likely have changed. Retailers that answered yes to one or many of the previous questions should take the time to reevaluate their network strategies. By implementing a new network strategy, retailers will be able to save time, eliminate waste and reduce costs throughout a number of areas in their supply chain. 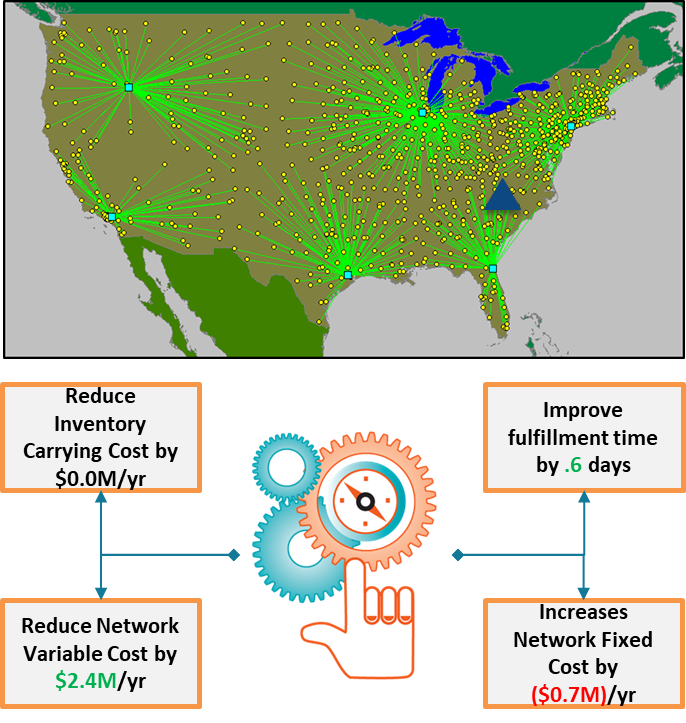 To read more about how enVista can help with supply chain network design, click here.